Peace for All of You in The name Of Jesus Christ the Savior! I agree and support DSs report about the abuse and disagreements in church but this is not the way to solve the problems of the church. If we want to solve the problems once and for all we need other mechanism. 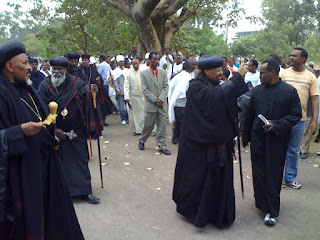 Shall we let DS and other Medias continue on the reporting this chaos’s, frustrations and divisions among Christians? 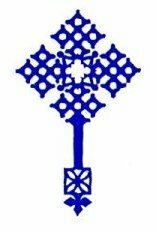 (Deje Selam; November 7/2010): We came across wonderful concept posted about our blogging world: the issue of being anonymous while writing and commenting, by a bloger called "Mahlet Zesolomon". 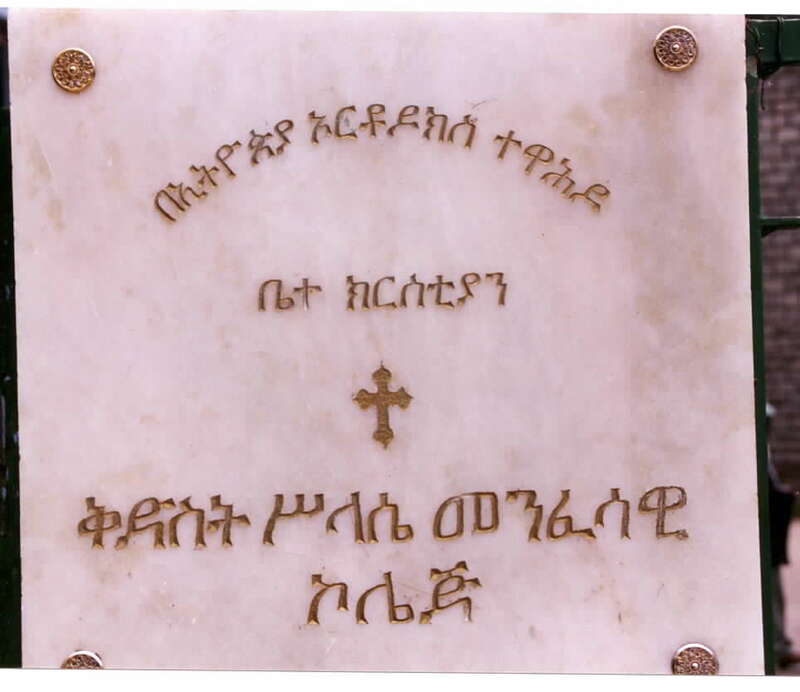 To show a solidarity with our fellow blogger Mahlet, we started our Deje Selamaweyan "to be registered and have names" before commenting and No anonymity any more. Read her article below and also visit her blog and leave your comments there. 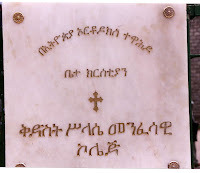 (Addisu Tesfaye):- I read Dilwonberu's article, posted on Deje Selam, which was written with the intent of defending the patriarch Paulos statue. Anyone who reads the article could understand the implicit and explicit message Dilwenberu tried to convey. 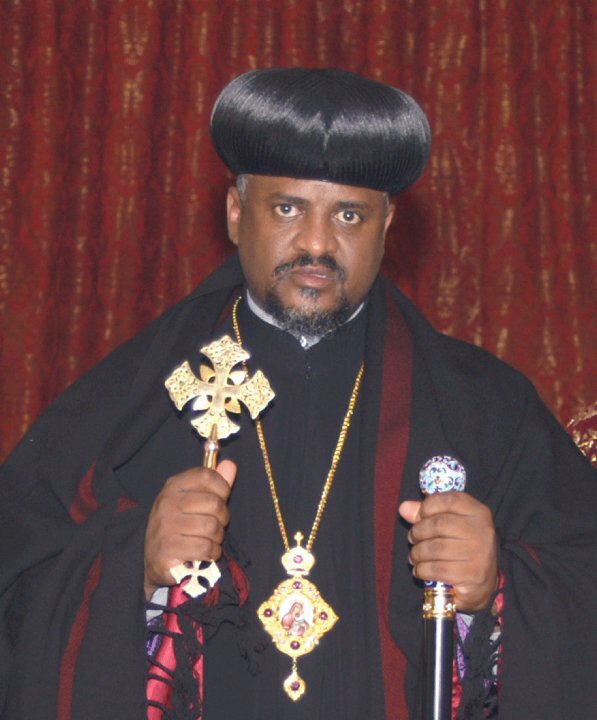 Explicitly, he has expressed the contempt he has for the Holy Synod for passing the resolution to demolish the statue of patriarch Paulos. 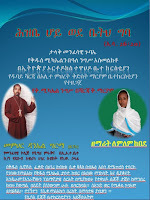 (አብርሃም ሰሎሞን እንደጻፈው):- መጠነ ሰፊ የሆነ ማብራሪያ ለመስጠት የሞከረው ድል ወንበሩ ስለ ሐውልቱ በተቀኘው የእንግሊዝኛ ቅኔ ኃይለሥላሴን እና ሌሎች ነገሥታትን፣ አቡነ ቴዎፍሎስን እና መንግሥቱ ኃይለማርያምን፣ ከዚያም ወጣ ብሎ የግብፁን ፓትርያርክ አቡነ ሺኖዳን በመጥቀስ በተለያየ ጊዜ የተሠራላቸውን ስዕላትና ሐውልት ካየውም ከሰማውም እንዲሁም ከጉግል ውስጥ ገብቶ ከጎለጎለው ማስረጃ በመነሣት እስኪ መልሱልኝ የሚል ጥያቄ አቅርቧል። እንዲያውም የሚያሳምነኝ ካለ እኔም የይፍረስ ስምምነቱን አስተሳሰብ ለመቀበል ዝግጁ ነኝ ይለናል። አንዳንዶችም በሰጡት አስተያየት የሰማዕቱን የቅዱስ አቡነ ጴጥሮስን ሐውልት ስንቀበል እንዴት የአቡነ ጳውሎስን ሐውልት ለመቀበል ልባችንን እናከብዳለን? 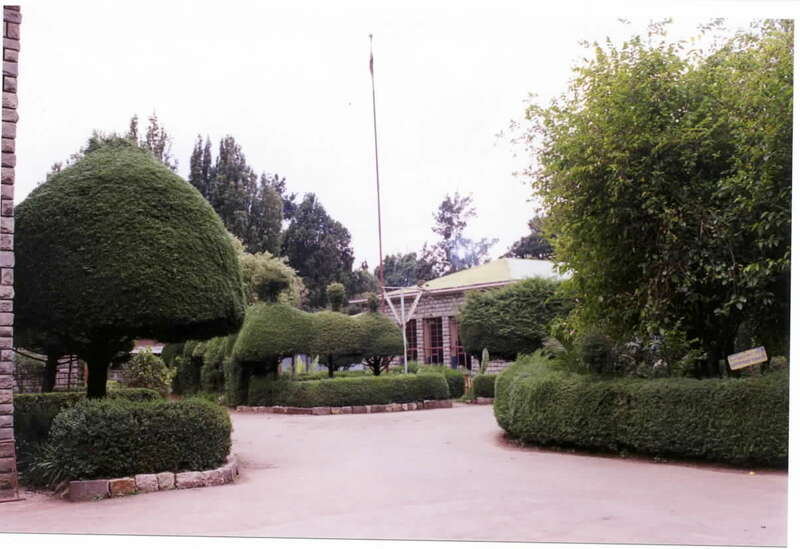 How come what is acceptable to ECC is unacceptable to EOTC? 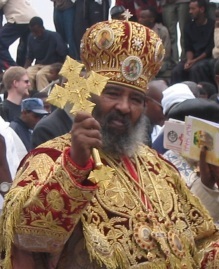 Here is a Tigrai Online article by a certain Dilwenberu Nega defending the Patriarch Paulos Statue, criticizing the Holy Synod that it decided the demolition of the statue. 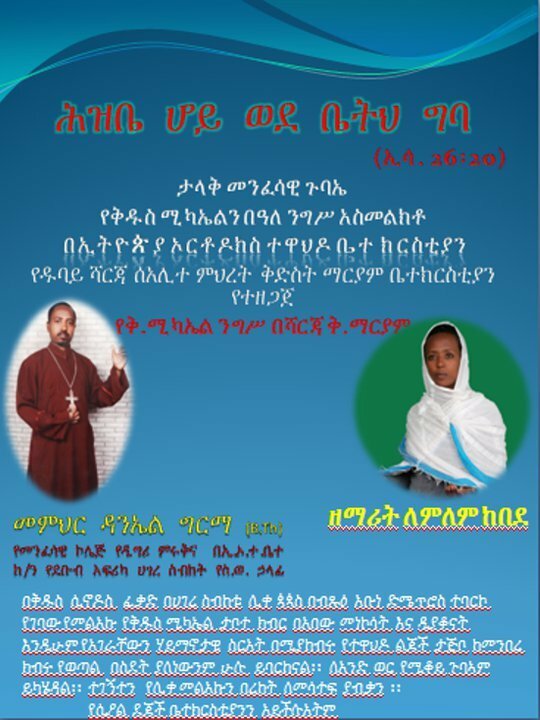 Taking the identity of the writer and the way he presented the religious agenda, our Church problem might twisted to an unnecessary line beyond the scope of the Church. 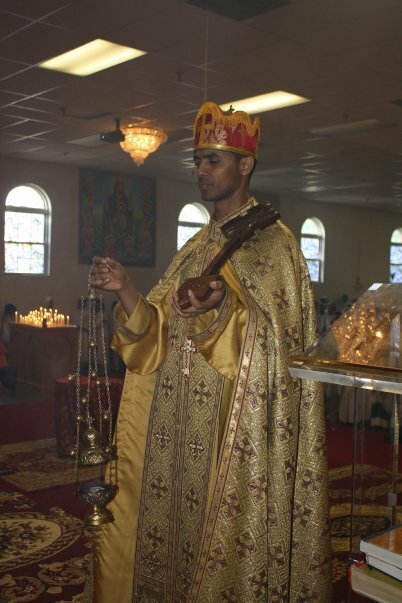 People who are not related to the Church who created the problem started to make their ideologies Orthodox and travel all the way to Egyptian desert to substantiate their motives. 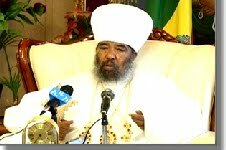 (Tigrai Online):- Over the last week a confraternity of scare-mongerers were in a state of frenzy, following reports that the gaggle of 'Princes of the Church' who make up EOTC's Governing Body, The Holy Synod, has decided to demolition Patriarch Paulos's monument which stands outside the precinct of the Church of Medehanealem in Bole, as well as, the removal from church compounds of Millennum billboards showing the Patriarch in deep prayer mode. (ደጀ ሰላም፣ Deje Selam)፦ It is undoubted fact that the Ethiopian Orthodox Church is going through a rigorous tribulation. 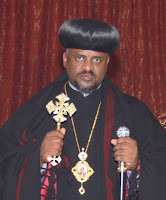 Even though, in its long history, the Church have suffered from both internal and external aggressions; what has been happening at the time of the current Patriarch His Holiness Abune Paulos is completely and absurdly new.